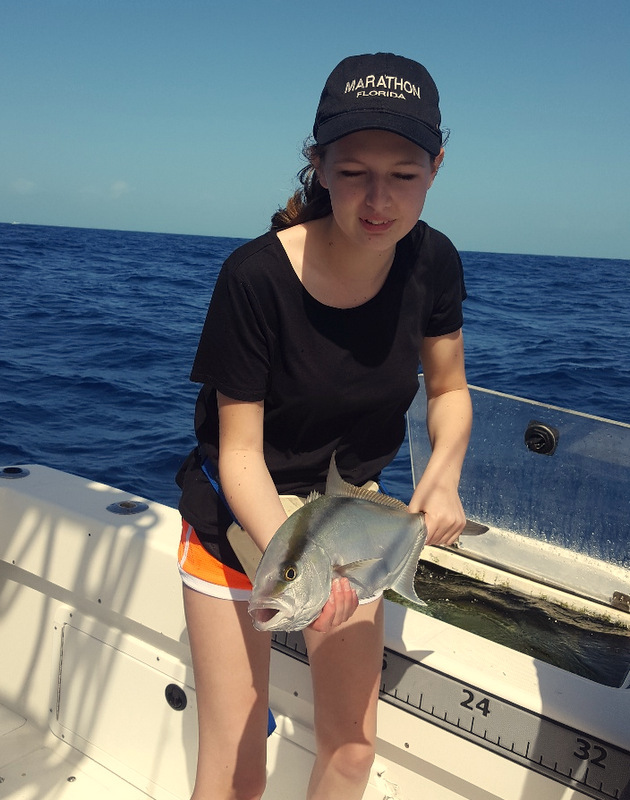 Over the now 14 years of doing Fishing Holidays in the Florida Keys more than once I have been asked to do a holiday for a farther and child. 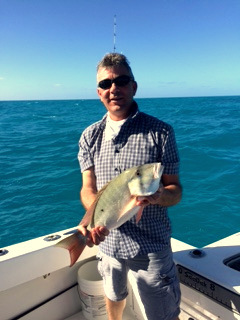 This was the case last week where Neale Hopper wanted to spend a week with his daughter Meg. 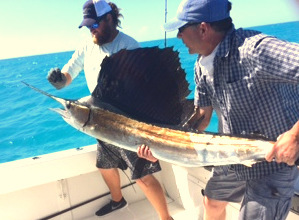 It sure ticks all the boxes just one to one good weather and a shared pastime with stunning results fishing in the Florida Keys. I did find them a fantastic private villa Neale decided to upgrade the rental car to a soft top Mustang and why not. With our boat in dry dock Captain Drew did his bit and upgraded the boat to a 33 See Vee with a spotting tower just how good could it get. So would the fish play their part well as is normal in the Keys no problem fish galore to quote some of the face book posts just amazing. 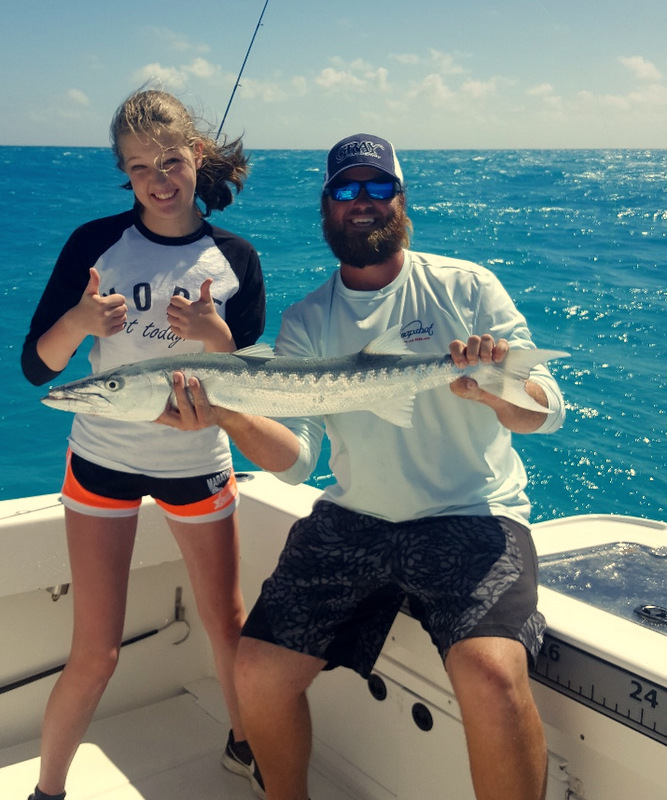 One day they had the chance to sight cast to barracuda I have often done this but for a first timer it must just blow you away have a look at the expression on Meg’s face it says it all. While this holiday was all about quality time with Meg I think its fair to say dad was having a blast as well and why not. Neale did what a lot of my regulars have been trying to do for years a sail to the boat. 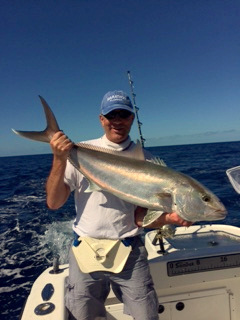 Captain Drew was more than impressed with Neale’s ability to deal with the fish just did what was asked and rewarded with a fish of a lifetime a well done from me as well. Meg and Neale were also rewarded with the sight of a manatee thinking back many years I can remember the thrill it was when I saw my first one they just seem so unreal but are doing very well and coming back strong in the Keys. So lots of boxes ticked and in a very nice thankyou email from Neale lots of memories that will be with you for a life time. Its trips like this that make it all worth while happy to help.